With the advent of the internet and the boom of social media sites, the web has emerged as a seemingly bottomless pit teeming with information. Anybody can post anything online, be it a comment, a blog post, a status update or even product reviews. Reputation has gained increasing importance as businesses have little control in the kind of information that gets posted online by web users. Online reputation management entails creating and managing content posted about a website, business or individual. While many people believe it involves removing negative information about a brand, product or service, this is only part of online reputation management arena. A major portion deals with accentuating positive reviews and improving personal branding. • Do a google search of your company or brand name and visit the top results on the first page. If there are negative comments that you can remove, it is essential to do so. Else, contact the site’s administrator and request him or her to remove the damaging material. • You obviously cannot manage every single webpage that mentions your product or brand’s name. Nonetheless, you can still focus on the top 10-20 websites and try to create and push positive information on them. Social media websites are a great way to start. Complete all your social media profiles. Add content, photos, testimonials and links to your official website on each account. Immediately respond to negative reviews by customers and advertise positive testimonials on social media in order to create a positive brand image. • Submit online press releases to authoritative websites in order to enhance brand image. 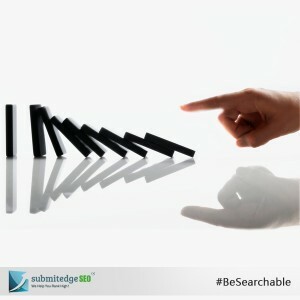 • Try to get mentions and positive reviews on third-party websites in order to improve search engine ranking. • Offering freebees on social media sites gives you a chance to retweet or post updates from customers who view the brand positively. • Use brand monitoring tools such as: Google alerts, MonitorThis and Trackur. You can always engage the services of a professional search engine optimization company in order to monitor and strengthen your brand name on the internet. The question of ethics always tends to creep up when it comes to managing the online reputation of a company. While there are many unethical ways to accentuate a company’s brand image (such as paying customers to write positive reviews online), businesses can still engage in white hat techniques and choose to manage the company’s status in a credible manner. It is important to be proactive rather than reactive when it comes to managing your online image. Of course, the best way to mitigate the effects of negative comments is to focus on providing quality customer service.